As a physicist, Alan Lightman has always held a scientific view of the world. 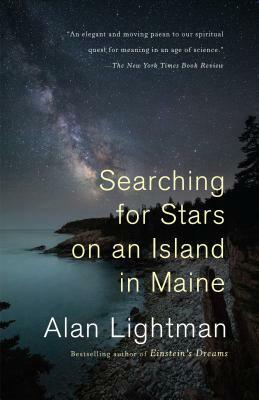 But one summer evening, while looking at the stars from a small boat at sea, Lightman was overcome by the overwhelming sensation that he was merging with something larger than himself—an eternal unity, something absolute and immaterial. The result is an inspired, lyrical meditation from the acclaimed author of Einstein's Dreams that explores these seemingly contradictory impulses. Lightman draws on sources ranging from Saint Augustine's conception of absolute truth to Einstein's theory of relativity, and gives us a profound inquiry into the human desire for truth and meaning, and a journey along the different paths of religion and science that become part of that quest. This small but provocative book explores the tension between our yearning for certainty and permanence versus the modern scientific view that all things in the physical world are uncertain and impermanent. —is the author of six novels, including the international bestseller Einstein's Dreams, as well as The Diagnosis, a finalist for the National Book Award. He is also the author of a memoir, three collections of essays, and several books on science. His work has appeared in The Atlantic, Granta, Harper's Magazine, Nautilus, The New Yorker, The New York Review of Books, Salon, and Nature, among other publications. He has taught at Harvard and at MIT, where he was the first person to receive a dual faculty appointment in science and the humanities. He is currently professor of the practice of the humanities at MIT. He lives in the Boston area.